Experience a magnificent region through the words and images of accomplished writers and photographers and local residents. - Pulitzer Prize-winning author William Dietrich presents the rich history and challenges facing this rugged habitat just hours from Seattle. - In his foreword, Richard Louv examines the importance of preserving our local wilderness areas for generations to come. - Poet Gary Snyder shares musings from his time spent as a fire lookout in the region. - Guidebook author Craig Romano encourages boots-on-the-ground exploration, from day hikes to more ambitious backcountry travel. - Christian Martin, of North Cascades Institute, profiles leaders dedicated to protecting this landscape. - Twenty photographers, including Art Wolfe, Ethan Welty, Benj Drummond, Paul Bannick, Amy Gulick, and Steven Gnam, bring the North Cascades to stunning visual life. From the summit of Mount Baker to the sandy bottom of the Skagit River, Washington's North Cascades hold some of the most sublime mountain summits, lowland old growth forests, and pristine rivers on the planet. Some of these features are safely contained within national park boundaries or federally designated wilderness areas, but few people realize how many acres remain unprotected to this day. With a growing regional population, and development putting more pressure on this region, The North Cascades draws our attention to the many reasons that the integrity of this rich ecosystem must remain intact. 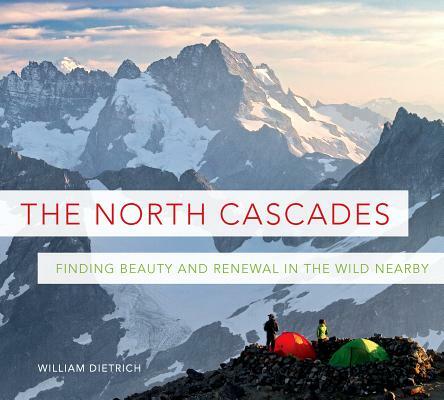 Released in 2014 in honor of the 50th anniversary of the landmark Wilderness Act, and the 50th anniversary of the original North Cascades photo book by The Mountaineers that helped inspire the creation of North Cascades National Park. More than twenty conservation and recreation organizations working in the North Cascades lent their perspective to this book.